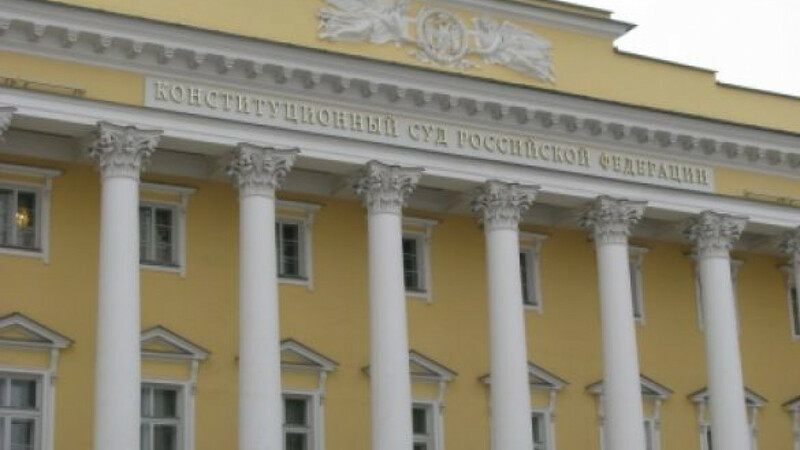 St. Petersburg's Constitutional Court, where the ruling allowing WTO ratification to take place was passed Monday. The Constitutional Court on Monday dismissed claims that the accession protocol for Russia’s entry into the World Trade Organization violates the Constitution, paving the way for its final review and probable ratification by the State Duma on Tuesday. Picket lines set up by opponents of Russia’s WTO membership bid have sprung up in front of the St. Petersburg-based Constitutional Court. Picketers on Senatskaya Ploshchad held banners with phrases such as “Stop WTO!” and waved Russian flags, according to Interfax. The surrounding area remained calm, and there was no increase in police presence. The protests come after the court allowed the WTO accession protocol passed in December to stand, dismissing claims made by the opposition A Just Russia and Communist parties that the agreement violates the Constitution. Opponents dispute the degree to which the document submission procedure was adhered to and argue that regional administrations were not consulted.